Cruising provides shutterbugs the unique opportunity to shoot multiple destinations in one trip, and get up close and personal with bucket-list wonders like Alaska, the Panama Canal and Antarctica. For those who wish to document their journey through photos, a number of lines offer onboard courses on everything from photo-taking to editing. Others offer dedicated photography cruises that allow passengers to beef up their skills on and off the ship. Both options welcome amateurs and professionals alike -- all you need is a camera (or smartphone) and a little creativity. We've rounded up the best lines for a photography cruise, based on which offer programs with the most variety and/or availability. Lights, camera, sail! Tech geeks will love Celebrity's unique mix of classes, which go beyond basic photography and photo-editing. Many classes take place in the ships' iLounge, which is equipped with MacBook Pros and iMacs that make it easy to work with digital photos. 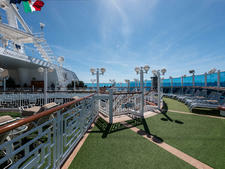 Classes vary by ship and itinerary, though all ships (except expedition) have the iLounge. What's Offered: In its photo galleries, Celebrity holds GoPro seminars that teach passengers how to use the action camera while demonstrating all its capabilities, as well as portrait-taking classes with a digital camera, led by the private studio photographer. In the iLounge, certified Apple experts cover everything from photo-editing (using Apple apps) to movie-making on Mac computers and iPads. Cost: Most courses are free, although some in the iLounge carry a $10 fee. Crystal's Creative Learning Institute has a team of professional photographers and Technology Concierges on hand to not only offer lessons in digital photography and filmmaking, but also assist passengers with getting the most out of their devices. What's Offered: Passengers can learn about travel photography, from basic skills to more advanced techniques, including learning how to use all the settings on their cameras. Those who want to take documenting their cruise to the next level also can attend courses in digital filmmaking. These amateur-friendly workshops cover how to shoot and edit short videos using an iPad (participants are required to bring their own iPads and preload the iMovie app); space is limited, and passengers are encouraged to sign up online, ahead of their cruise, or first thing on embarkation day. Cost: All courses are complimentary, though the iMovie app required for digital filmmaking costs $4.99. For passengers who want more personalized, hands-on guidance, Cunard offers one-on-one courses with professional photographers in the Photo Gallery. (If it's busy or the passenger prefers a quieter space, lessons can be held in another space, such as the coffee bar). What's Offered: One-on-one sessions provide passengers with the opportunity to learn new skills from professional photographers, while working with their own cameras. Sessions are tailored to each passenger's experience. For example, one might focus on discovering all your camera's settings and capabilities; another might simply go through all the basic functions and tips for good photo-taking. Cost: The first one-on-one session costs $49.95; additional sessions can be booked at a discounted rate. 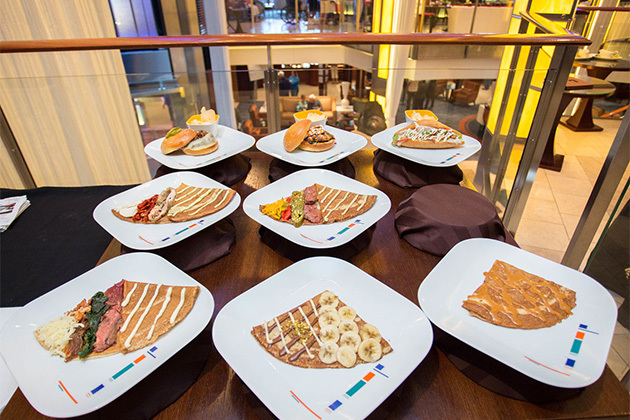 Through its partnership with Windows, Holland America offers a variety of photography classes in its Digital Workshop. The 45-minute classes, led by trained Digital Workshop Hosts, are offered on all ships; each is available at multiple times and days throughout the cruise. Daily Q&A sessions also are available every day. What's Offered: Classes include photo-editing, movie-making with Windows 10, a how-to on storing and sharing photos with Microsoft OneDrive, an intro to Windows Photo Gallery, tips on keeping your photos organized and learning how to use your digital camera. Cost: All classes are complimentary. Midnatsol (Midnight Sun in Norwegian) is the line's only ship with a photography program onboard. Its unique Antarctica, Patagonia, Falklands and South America itineraries are perfect for stunning photos, which passengers can learn how to take and also download and share onboard. What's Offered: Photography workshops led by professionals are held outside on the deck. 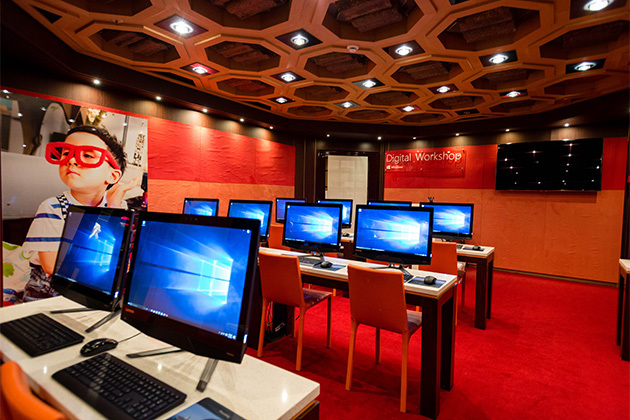 The ship also is equipped with a media lab, in which passengers can download, process and share their work throughout the cruise. Cost: The program is complimentary. Expedition cruises naturally offer some of the most photo-worthy landscapes, thanks to their off-the-beaten-path itineraries and inclusion of smaller, less-visited ports. 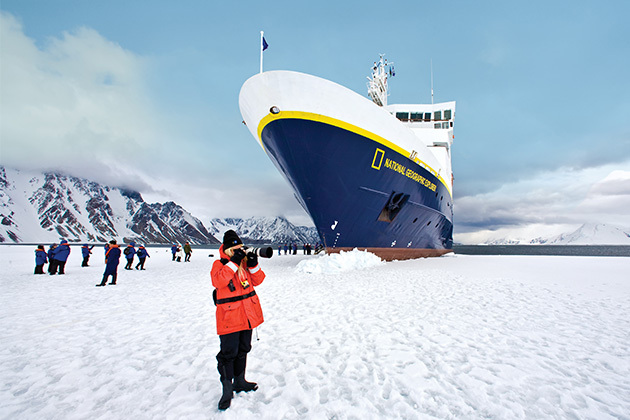 Lindblad takes advantage of these photographic opportunities with its Expedition Photography program -- which ensures a photo instructor on every ship in the fleet, a National Geographic photographer onboard all National Geographic Explorer and National Geographic Orion departures, and immersive Photo Expeditions. What's Offered: Throughout each cruise, passengers can partake in educational workshops and presentations aimed at better photo-taking, using various types of equipment, including how to gear up for extreme climates. 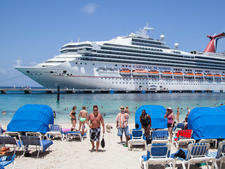 On select sailings, experts also will train on photo-editing, using programs like Adobe Photoshop and Lightbox. Passengers are required to bring their own camera (point-and-shoot, smartphone, DSLR, etc.). Cost: All Expedition Photography activities are included in the cruise fare. Taking more of an outside-the-classroom approach, Seabourn offers in-depth photography seminars and lectures in its lounges, and professional guidance on tours that vary by itinerary. What's Offered: Professional photographers come onboard select Ventures by Seabourn itineraries, mostly in Antarctica. They host educational seminars on how to take better travel photos, and even accompany passengers on tours. On regular sailings, professional photographers occasionally join the ship as part of the Seabourn Conversations program -- typically on longer sailings -- to provide insight to those interested in improving their photography skills. 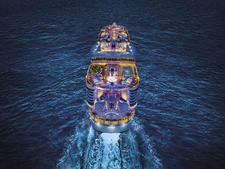 Cost: All tours, seminars and lectures are included in the cruise fare. The line's Silversea Expeditions fleet -- which consists of Silver Discoverer, Silver Explorer, Silver Galapagos and Silver Cloud Expedition -- sails a variety of Photo Expedition voyages that offer educational opportunities both onboard and ashore. What's Offered: Onboard designated itineraries, passengers can embark on Zodiac and scenic walking tours alongside a professional photographer who will guide them as they document their experience. In addition, onboard workshops teach passengers how to better utilize their camera equipment and edit the photos they've taken. 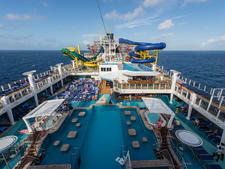 Cost: All tours and workshops are included in the cruise fare. A handful of cruise lines offer special interest sailings, whose activities extend beyond basic-skill workshops. Cunard, for example, brings acclaimed professional photographers onboard for special itineraries, such as the Norwegian Fjords, during which passengers can up their photography game before having a chance to shoot during the Midnight Sun. A charter company on Ponant Yacht Cruises and Expeditions treats both amateur and experienced photographers to an enhanced onboard learning experience, with a series of expert-led daily seminars and nighttime presentations on select sailings.